Sammy Carter matched his uniform number with seven goals and he added three assists to lead Indian Creek to a 15-13 win and the MIAA C Conference lacrosse crown. Sophomore attackman Samuel Carter scored three consecutive third quarter goals to spark Indian Creek School to a thrilling comeback victory as they finished off their Anne Arundel County neighbors, Annapolis Area Christian School, 15-13, to capture the 2018 MIAA C Conference lacrosse championship, Friday afternoon at Towson University’s Johnny Unitas Stadium. Carter accounted for seven goals and three assists, and senior attackman Langston Sheppard contributed four goals and an assist for Indian Creek. The two schools split their two regular season games, and it looked like AACS was going to run away with the championship as they dominated the first half and led 11-6 halfway through the third quarter. Senior attackman Jay Jenkins scored a team-high six goals and had three assists, and junior midfielder John-Gaga Collier netted four goals and added two assists, but it was not enough to hold off ICS. Indian Creek (14-5) crept within two after three quarters and pulled even in the decisive fourth quarter, behind goals by Sheppard and Carter, before bursting in front when senior midfielder Sam Homick found a wide open senior Michael Troese who tickled the twine with a right-handed rocket from 15 yards out. Carter gave credit to Indian Creek’s senior leadership for the comeback. Coach Werner reflected on all of the hard work his team put in to turn the season around. “This has been the most fulfilling season coaching wise. We are a different team than we were in March. Getting a nice win over Beth Tfiloh last week and winning in double overtime against Annapolis Area the week before, we knew we could come and challenge for a championship. AACS first-year head coach Bob Sturgell, although not happy with the outcome, had high praise for his young team and their two seniors Jay Jenkins and Cole Vazquez. The Indian Creek faithful erupted with joy when their team finally went on top in the fourth, but the lead proved to be short-lived, as Jenkins fed sophomore attackman Mason Fortlage who tied the game at 13-13 with 7:22 remaining. The game-winner came quite unexpectedly when Hornick gobbled up a loose ground ball right in front of the crease and deposited an underhand quick-stick with 6:32 left in the game. Indian Creek fended off several assaults by AACS, played a few minutes of “keep away,” and Carter provided the icing on the cake with his seventh and final goal with just 51 seconds remaining. GOALS: AACS-Jay Jenkins 6, John Cage-Collier 4, Ben Sturgell 2, Mason Fortlage; ICS-Samuel Carer 7, Langston Sheppard 4, Sam Homick 2, Michael Troese, Jonah Amin. ASSISTS: AACS-Jay Jenkins 3, Ben Sturgell 3, John Cage-Collier 2; AACS-Samuel Carter 3, Sam Homick 3, Jonah Amin, Ronan Fanning, Langston Sheppard, Michael Troese. SAVES: AACS-Cole Vazquez 16; ICS-Shaun Gerety 5. GROUND BALLS: Indian Creek, 46-34. 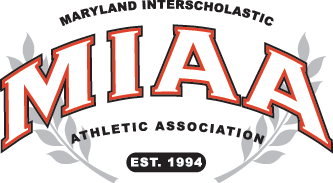 FACE-OFFS: Annapolis Area Christian, 17-15.